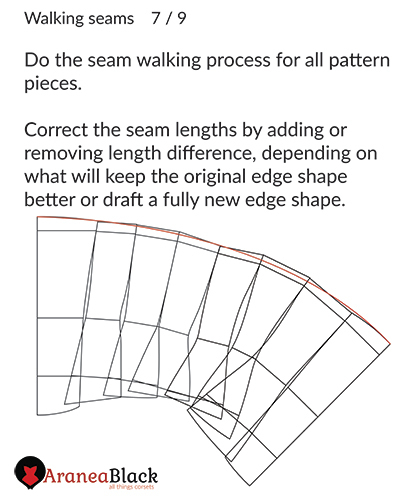 This is a basic pattern adjustment and manipulation technique you need to know to lift your corset making skills to the next level. 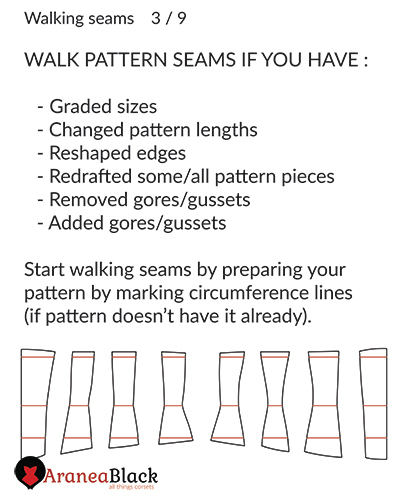 Most corset pattern adjustments distort the seam shape and/or length thus creates a need for readjustment of seam lines. 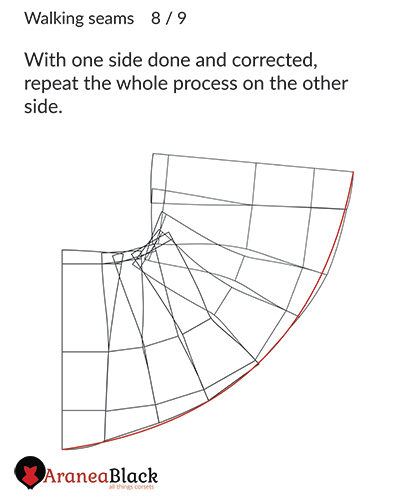 This process is also known as walking the seams. 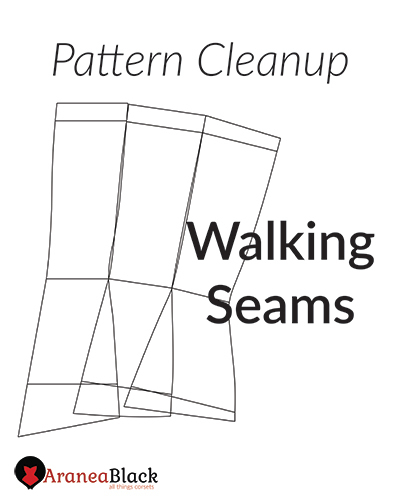 In this tutorial, you will learn the basic principle of walking seams on a corset pattern. 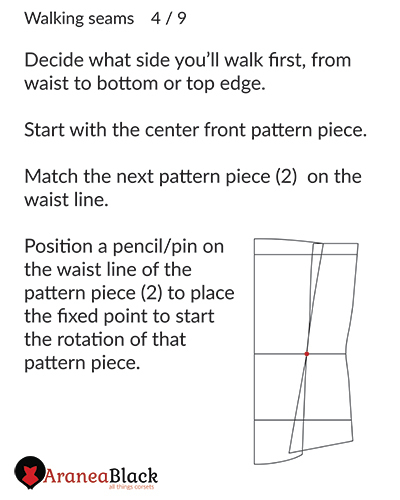 I placed special emphasis on the waist line because it is a corset pattern we’re talking about. 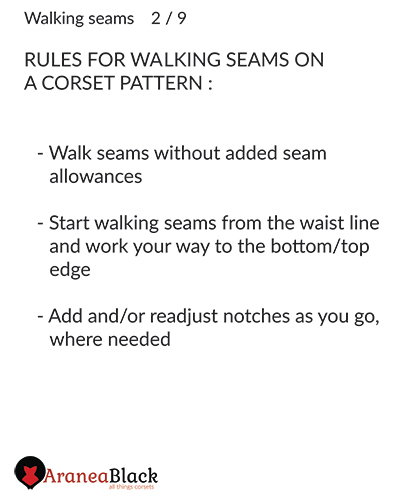 Everything revolves around the corsets waist line! 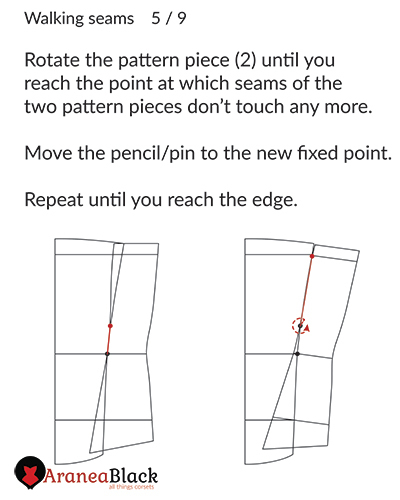 By applying this method to your creations, you will never ever wonder why your panels don’t line up! 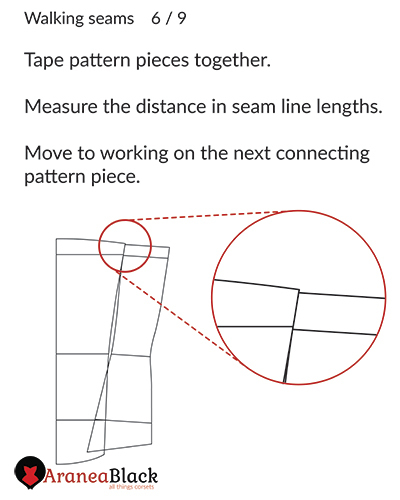 You will never waste time on battling to match up your pattern notches! This will give you the freedom to dedicate more time and energy to important stuff! 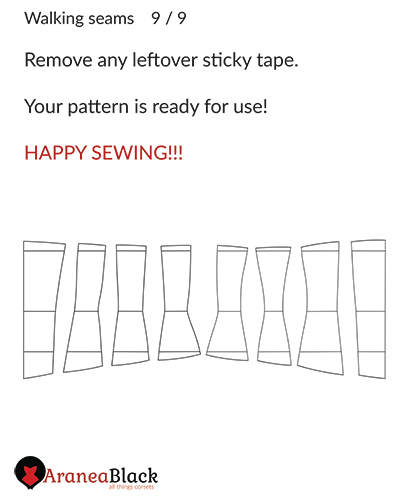 Like hand-stitching on that delicate lace details or gluing a gazillion billion sparkly rhinestones! 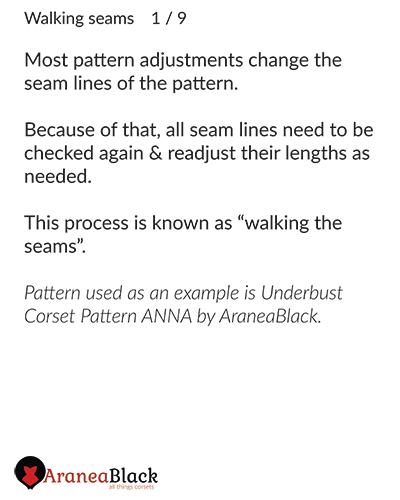 Method is demonstrated on an Underbust corset pattern ANNA though the same principle can be applied to any other corset patterns.